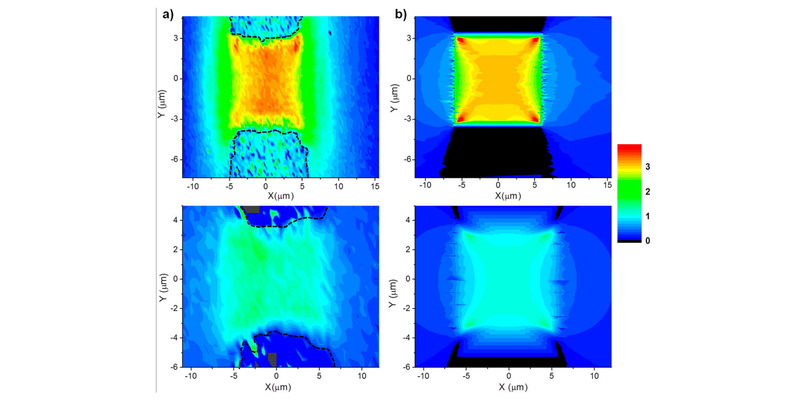 We deposited Ge layers on (001) Si substrates by molecular beam epitaxy and used them to fabricate suspended membranes with high uniaxial tensile strain. We demonstrate a CMOS-compatible fabrication strategy to increase strain concentration and to eliminate the Ge buffer layer near the Ge/Si hetero-interface deposited at low temperature. This is achieved by a two-steps patterning and selective etching process. First, a bridge and neck shape is patterned in the Ge membrane, then the neck is thinned from both top and bottom sides. Uniaxial tensile strain values higher than 3% were measured by Raman scattering in a Ge membrane of 76 nm thickness. For the challenging thickness measurement on micrometer-size membranes suspended far away from the substrate a characterization method based on pump-and-probe reflectivity measurements was applied, using an asynchronous optical sampling technique. See more posts on ICMAB related to: Pablo O. Vaccaro ,	María Isabel Alonso ,	Miquel Garriga ,	Joffre Gutiérrez ,	Damià Peró ,	M. R. Wagner ,	J. S. Reparaz ,	C. M. Sotomayor Torres ,	X. Vidal ,	E. A. Carter ,	P. A. Lay ,	M. Yoshimoto ,	Alejandro R. Goñi.